If your garage door opener stops working and you see smoke coming from the motor, you most likely have a blown starting capacitor. The capacitor is a part inside your opener that stores energy and helps start the motor every time you press the button. If you don't see smoke, you might hear a clicking or humming sound coming from the motor. This is the motor trying to run but there isn’t enough energy in the capacitor to get it started. 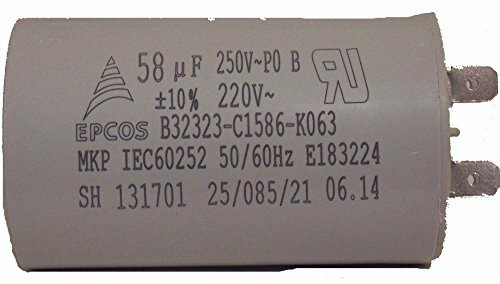 Below are the most popular capacitors used today in garage door openers. Some garage door opener capacitors will not release smoke when they blow. The opener will make a light "humming" or "clicking" sound every time you press the wall button. This could be the result of a blown capacitor. When a starting capacitor in a garage door opener does not have enough stored energy to get the motor running, it will show these symptoms. The most economical place to start is to replace the capacitor. If a new capacitor does not fix your problem, the next option would be to replace the circuit board. A very common symptom of a bad circuit board is a clicking sound coming from the garage door opener motor head. Sometimes it will be a single click and other times you will hear multiple clicks in no particular order and the light bulb will begin to flash erratically as well. This is most likely a bad circuit board. Below are two of the most common circuit boards available for Genie, LiftMaster, Chamberlain, and Sears garage door openers. Why Did My Starting Capacitor Blow? The starting capacitor in your garage door opener failed for two reasons. One is the age of the unit. If your opener is older, the capacitor probably reached the end of its life cycle. Its time to replace the capacitor. Another way a starting capacitor will fail is if someone runs the garage door opener too many times in a row... especially if the outside temperature is really hot. Residential garage door openers have a maximum number of cycles they are designed to run in a given amount of time. This is why they are rated for residential duty vs. commercial duty. A commercial garage door opener is ran continuously throughout the day so it has a higher duty cycle. If you continually run your residential opener over and over and don't give it time to cool down, you will blow the starting capacitor. This is common when kids get the remote for the garage door opener and keep pressing the button over and over. Why Does the Garage Door Opener Run After It Cools Down? If a garage door opener sits idle for a period of time, a blown starting capacitor can build up and store enough energy to run the opener a few cycles. After running a few cycles the opener will usually stop running and make a humming or clicking sound. The blown capacitor is not able to store enough energy needed to get the motor running more than a few cycles. Replacement is necessary. Is My Garage Door Opener Catching Fire? Your garage door opener is not catching fire. A starting capacitor will release pressure through a hole in the front or a crack created from the blown part. When it does this, there will usually be smoke coming from the capacitor and many times there will be a sweet burning smell. This is normal. It is easy to get alarmed when you see smoke coming from your garage door opener motor. The visual picture you immediately get is your house is catching fire and it creates panic. The smoke coming from a blown starting capacitor will usually go away after a few minutes. A large puff of smoke will initially be released due to pressure and heat build up inside the garage door opener capacitor. Once it releases the pressure, it should not continue to smoke. Can My Garage Door Opener Catch Fire? Yes... if you have a birds nest. 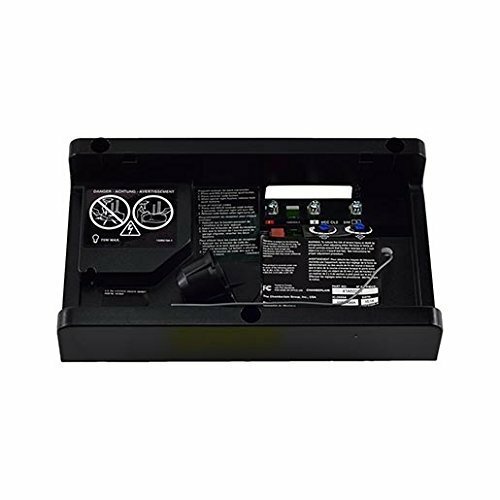 Make sure you don't have a bird’s nest or any other debris in the light cover of your garage door opener. There has been cases where a bird has built a nest in the light cover of a garage door opener and the incandescent bulb started a fire. This can be a very serious fire hazard. Always make sure nothing is inside the light cover that can catch fire... especially when using incandescent light bulbs that get very hot. You can read more about that here. 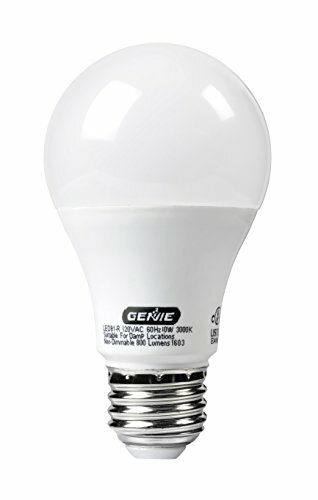 If you wan’t a light bulb that doesn’t get hot, try using Genie's LED light bulb made specifically for garage door openers. It is a long lasting LED light bulb that is “cool to the touch” so there is no worry about your light bulb starting a fire. Many of the newer garage door openers feature DC motors for ultra quiet performance. These newer motors do not have a starting capacitor. 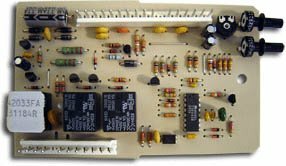 If you have one of the newer garage door openers with a DC motor and it is humming or clicking, you most likely need a new circuit board. It is very common for circuit boards to fail during storms or power outages. If your opener is old and your looking to replace it, we recommend the Chamberlain B970 Wi-Fi Garage Door Opener. This Chamberlain opener gives you a lot for your money and will provide years of great service. Smartphone control via Wi-Fi, 2 vehicle remotes, and an outside keypad are just a few of the many great features. Another great benefit is parts are available from any LiftMaster dealer since they are both made by the Chamberlain Group. If you have a 3/4 HP garage door opener, you might need one or two capacitors depending on the model you have. Some older 3/4 HP units require two capacitors to get the motor running. You will need to unplug your opener from the power outlet, remove the motor cover, and check to see which capacitor your motor uses and how many it needs. 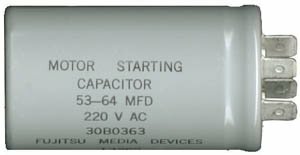 The most common 3/4 HP capacitor for LiftMaster, Chamberlain, and Sears Craftsman openers can be found here.